Yangon, formerly known as Rangoon, is still a relatively quiet and charming city. It’s impressive colonial and spiritual heritage makes it one of the most fascinating and authentic capitals of Southeast Asia. 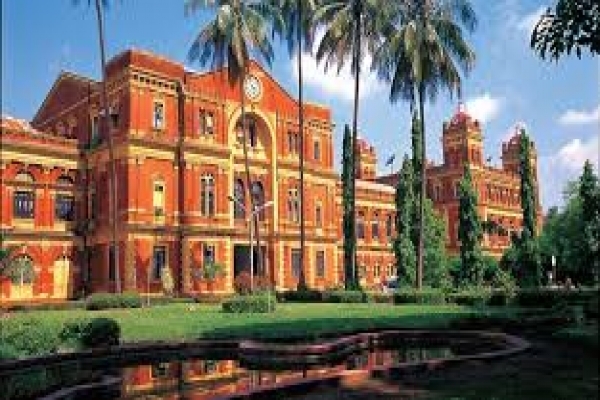 You can take a walk around Yangon City Hall near the Sule Pagoda and Mahabandoola Park, Rowe & Co (Now Ayeyarwaddy Bank), Telegraph Office, High Court Building, Rander House, Sofaer & co, Minister's Building and then Shwedagon Pagoda.